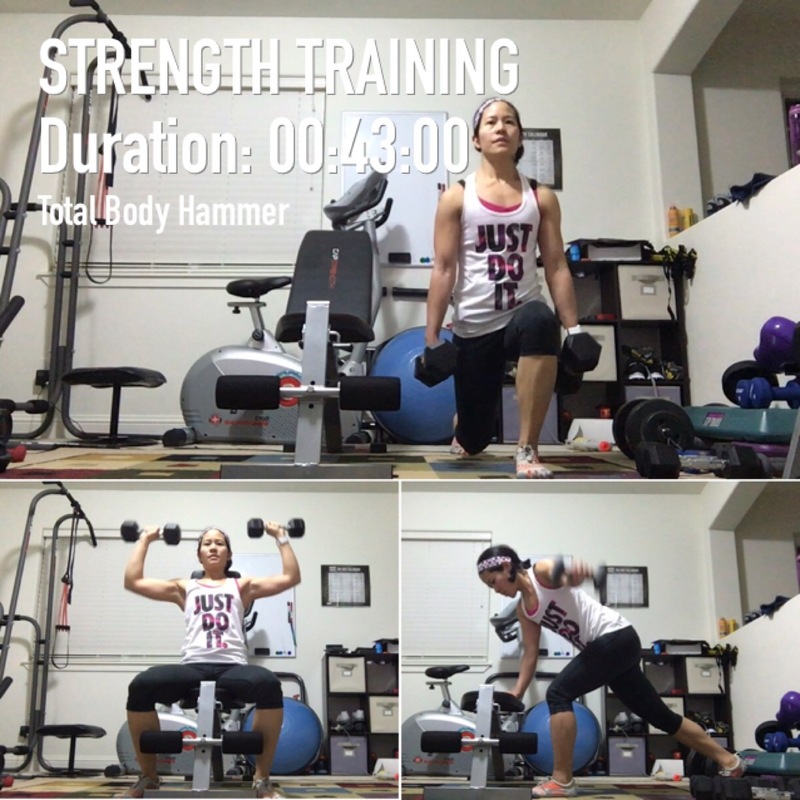 Monday – Total Body Hammer from Hammer and Chisel, a great total body workout. Tuesday – Master’s Cardio was short. I thought it was pretty good for being that short. 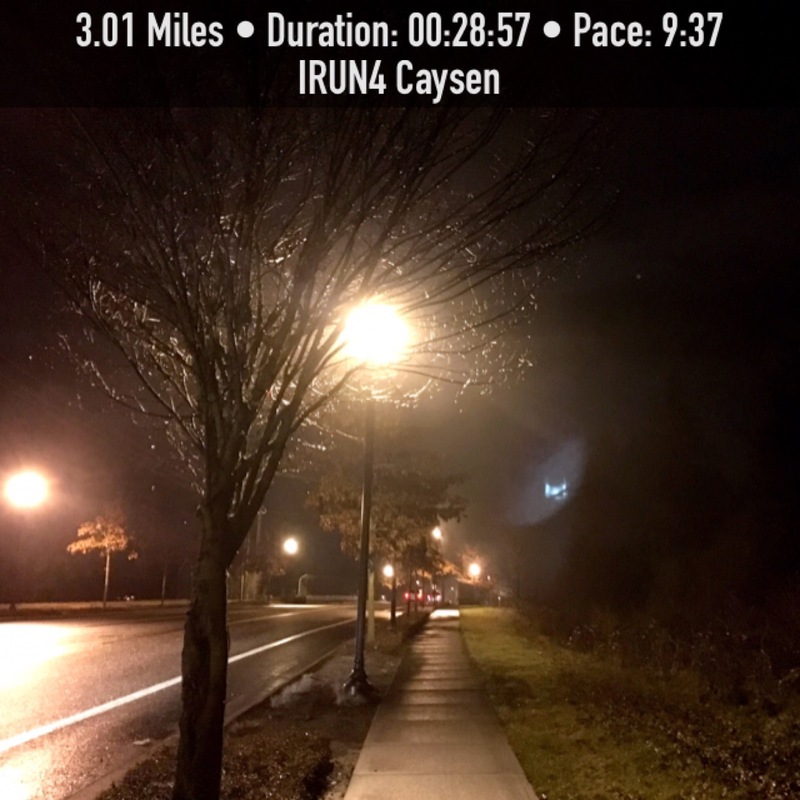 I also ran 3 miles. 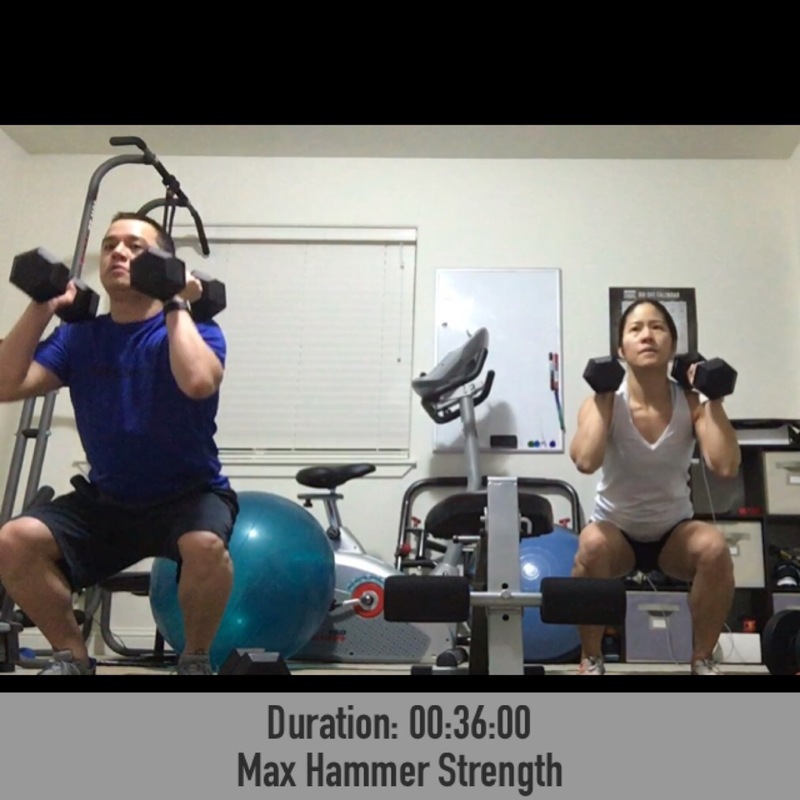 Wednesday – Max Hammer Strength. 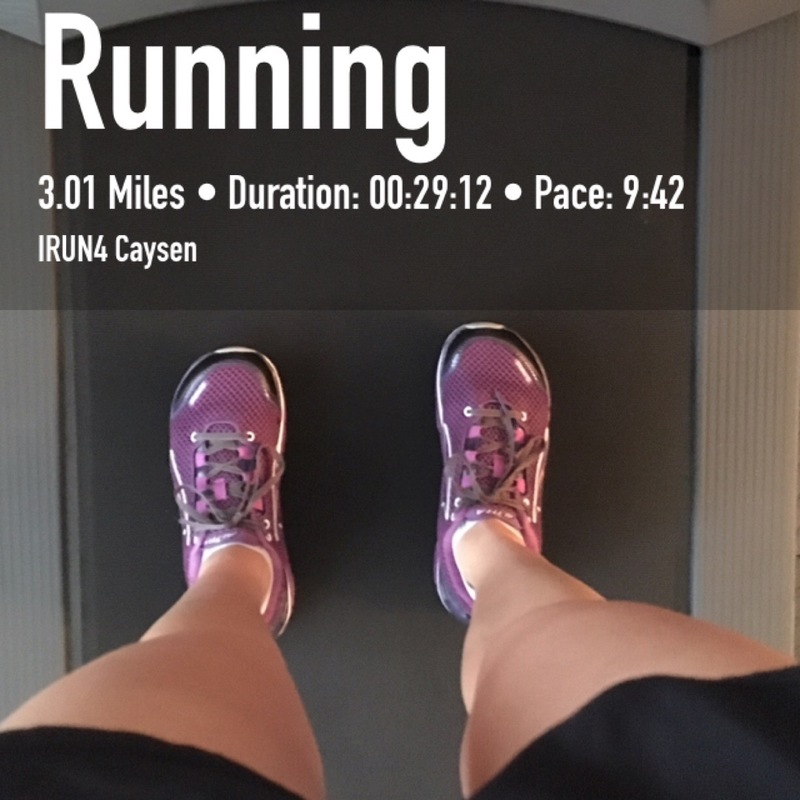 Thursday – Ran 3 miles on the treadmill. 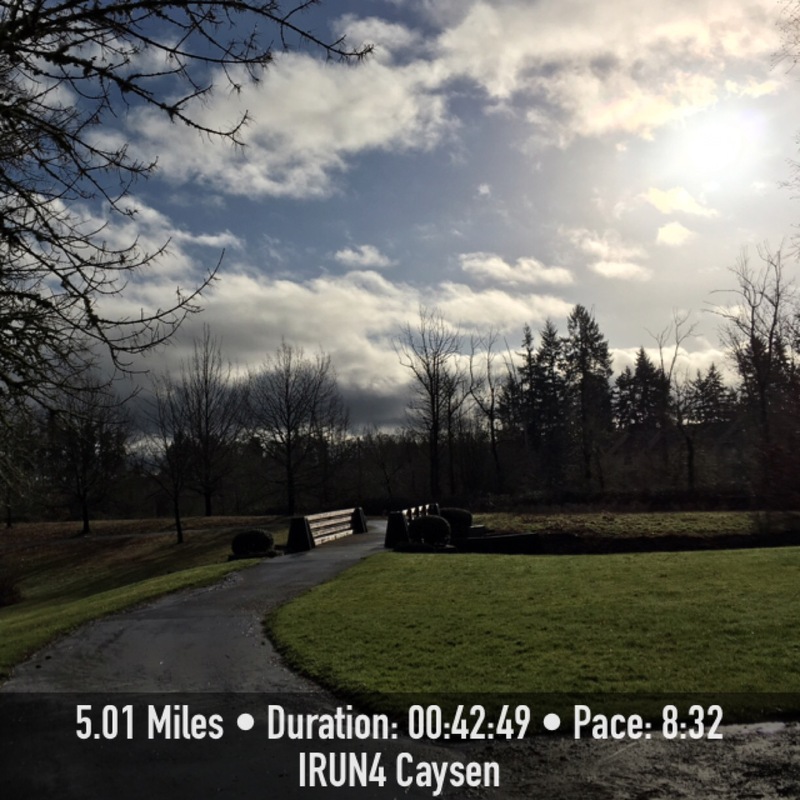 Friday – Total Body Chisel and ran 5 miles while the kiddo was in preschool. It was nice to see the sun out. 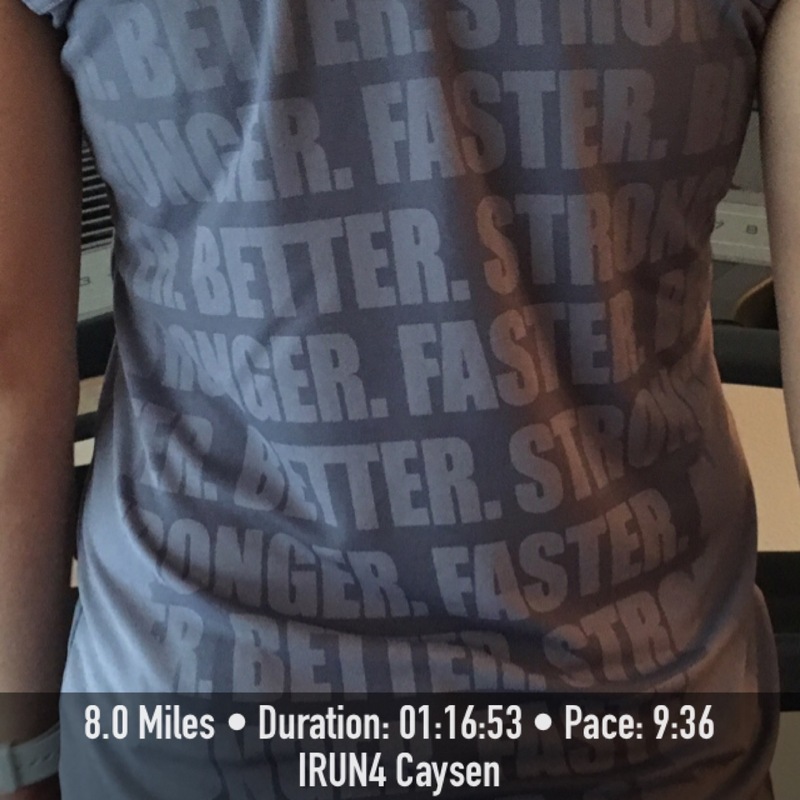 Saturday – Ran 8 miles on the treadmill. Loving my Viewsport tank! You really have to sweat to get the words to show and treadmill runs do it. 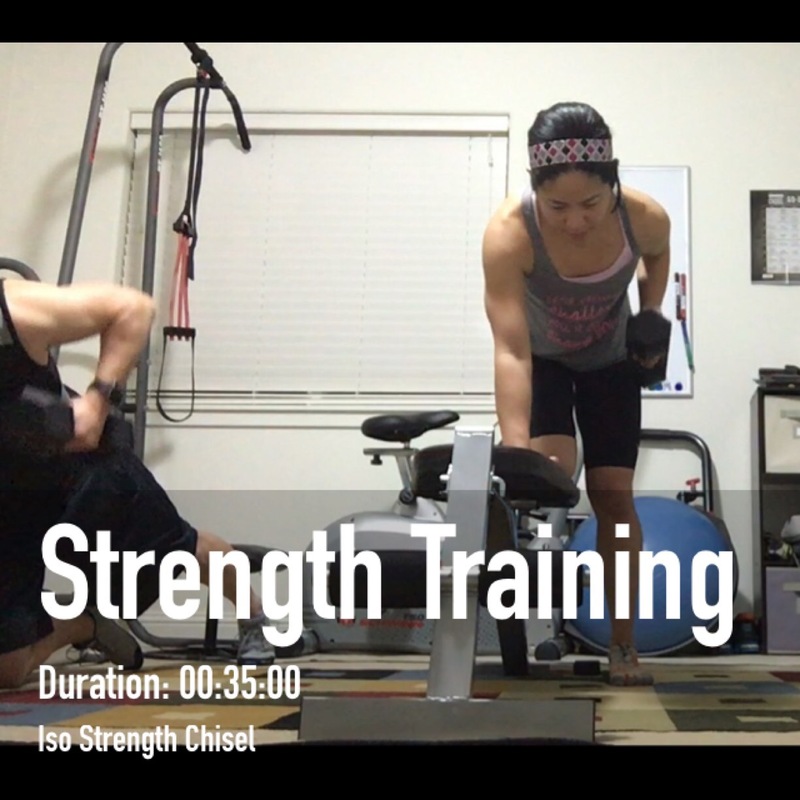 😛 Sunday – Iso Strength Chisel. This is a tough one! I ended up with 19 miles of running for the week. I feel like running more and I’m debating on doing less of the strength training so I can run more… decisions, decisions. That pretty much wraps up my week of workouts. How’d your week go? I tend to scale back strength training as I get closer to my goal races so I can spend more time running (and swimming and biking). In the off-season I do more strength work. Good luck with your decision! 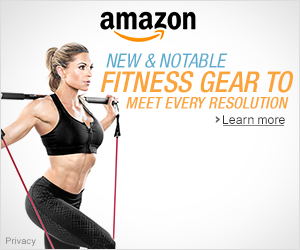 Either way you’re getting very fit! That’s a great plan! I’m still deciding what my goal races are but I know for sure a marathon in October. Thanks! I’ve heard those Hammer and Chisel workouts are intense! 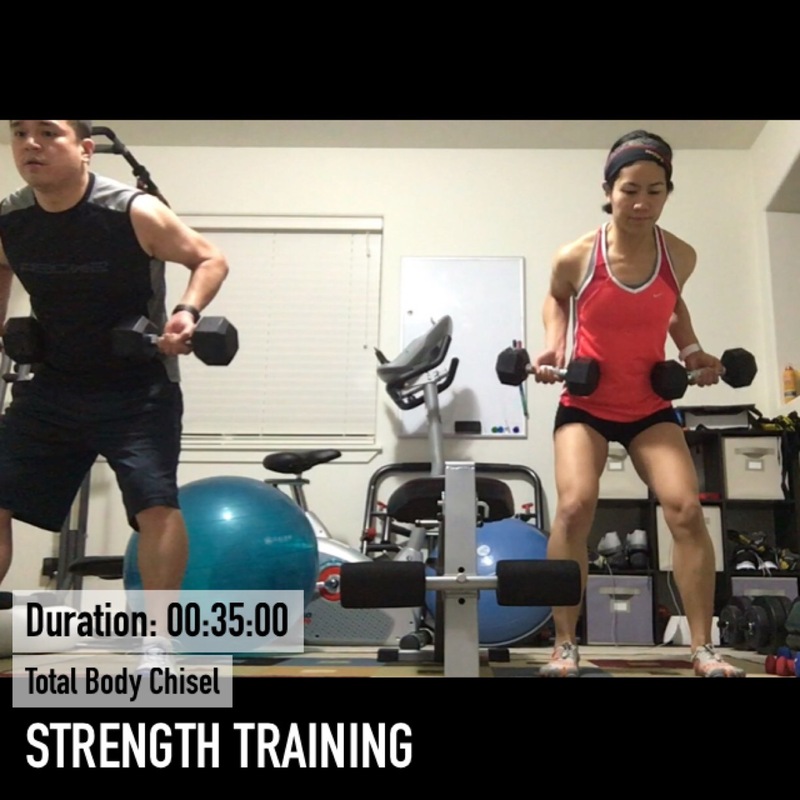 My husband likes to workout but we haven’t found anything specific to do together expect for the occasional run, bike ride, or living room yoga session. They are a intense! I’m not used to all this strength training. 🙂 That’s great! Awesome job this week. I love that your husband works out with you! And your yoga poses are beautiful. Congrats on the headstand! Woo hoo great headstand! I have to have a wall. 😦 Another great week of workouts in the books for you, I see the hubs is still with you, that is awesome. I’m still working on mine. Maybe one day! I’m trying to up my strength training and add more weights too, so we’ll see how that goes! Thanks for linking up with us each week! Have a great one! Thanks Tricia! I was so happy that I was able to do it! It is nice we’re able to work out together. Thanks for having the link up!! A few years ago as a Christmas gift, my sister gave me one of those shirts where words appear after you sweat (I’m pretty sure it was a different brand). It was supposed to say Run With Heart. But every time I wore it, it looked like Run With Head. It was too funny! You are doing awesome with the yoga poses and daily challenge. I’m very impressed with your unassisted head stand! Congrats on a great week! Thanks for linking with us Sherry!